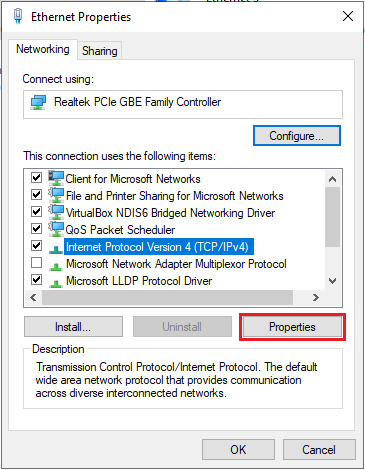 Please go to Control Panel -> Network and sharing center -> Change adapter settings. Notice the name of your active network under the View your active networks. 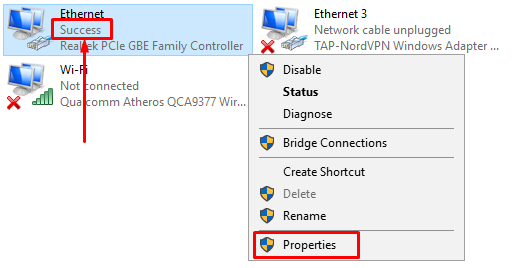 Right click on your active network adapter and select Properties. 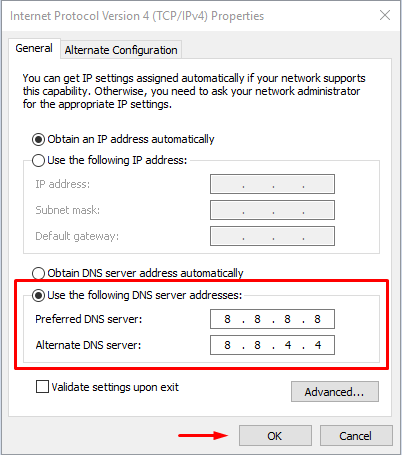 Make sure you have selected the network adapter with a name from the previous step. Afterwards, select IPv4 and Properties again. If the issue persists, check the other step from this article.